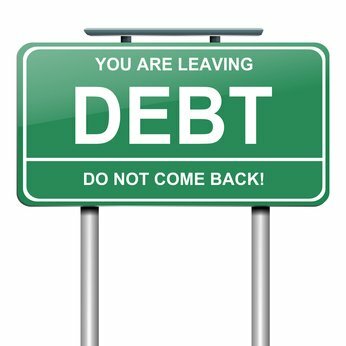 In my first “How Do You Get Out of Debt?” post last week, I told you that there are 5 steps to getting out of debt and winning with money. I also told you there were two things you really needed to do first before starting your five steps to getting out of debt. At this point in the process, you should be totally mad at debt and sworn off of it for good. You should have also cut up all of your credit cards and gone “naked” when it comes to acquiring any new debt. Now that you're mad and naked you're ready for the real deal, taking that first step toward getting out of debt. So What's the First Step to Getting Out of Debt? It's making a written budget. What, you thought it would be something fun like throwing a “get out of debt” party for all your friends? You can do that later, when you really are out of debt. It'll be much sweeter that way. Seriously though, I know it probably doesn't sound like learning to make a budget is that much fun, but trust me it's well worth the effort. Why do you need a written budget? Because you need to know where your money is going. Most people think they know but when you press them on the issue, they really don't have a clue about how they truly spend their money every month. But when you take the time to have a written plan, you suddenly have much better control over how your money is being used, and you can use it much more efficiently than you otherwise would have. Where am I wasting money? When you're able to answer these 3 questions because you have a written plan in place, you're no longer flying by the seat of your pants financially, and the result is that you start to gain control of your situation. A written budget paints a picture that allows you to see what's happening so you can control the flow of each dollar to where you want it to go. Budgeting also serves to ensure that you don't spend more than you make, because when you have a plan, you can make sure that what goes out is equal to what's coming in. So How Do You Get Started on a Budget? The first thing I recommend is that you write down every single purchase you make for the next 30 days. If your married, have your spouse do it too (Hopefully he/she is on board with getting out of debt). You can use a little pocket notebook or even a note taking app in your smartphone. At the end of the month you'll have a snapshot of how you spend your money and you'll also have developed a little discipline because you were diligent about paying attention and writing everything down, every time you made a purchase. When you look at how you spent your money for the month, are you surprised? You will probably see how easy it is to let a few hundred dollars slip away from you in inconsequential purchases that you don't really even think about, and it will help you identify those areas where the waste is and where you may need to cut back. So now that you've been disciplined enough to write down your purchases for 30 days, you're ready to fill out your first monthly budget (Download free budgeting forms here). Just fill it out using the instructions that are included with the forms. I won't go into all the details here, but you can read the instructions along with this post about budgeting to help you along. If you're really feeling energetic you can purchase my book “Balance: The Quick and Easy Guide to Financial Stability Using a Budget” from Amazon.com. It's a short, easy read that will tell you every single detail you need to know about how to start a budget successfully and stick with it. One thing you should know, getting in the habit of making a budget every month can feel really intimidating at first. That's why most people never start. But if you start it and stick with it, doing a budget consistently every single month, things will start to change for you financially. It can be a little strange in the beginning to wrap your head around it. I struggled a little at first, too. But it's just like learning to do anything new, the more times you do it, the easier it gets, and after a few months you'll be an old pro. It's only 3rd grade math, YOU CAN DO THIS! When you have a budget, you have a concrete plan to work from and you're able to direct every dollar to where it needs to go. When you have a direction for your dollars and exert total control over them, you have just taken your first step toward getting out of debt and achieving permanent, life changing financial freedom! Stay tuned for the next post when we get a little deeper into the process with the second step that will launch you even further toward complete debt freedom. Have you ever struggled with budgeting? What was the biggest issue you had with it?